There are times when all things seem off, boring and uninspiring. When the motivation to move on is lacking. Believe me, roses have torns, and no, I am not seeing the cup as half empty. It is just the reality. Some try so hard to be positive that they deny reality and focus only on the positive. Being fearful to accept the negative reality does not mean that the negativity will disappear. It simply means that you are acknowledging the fact that there is a problem that needs to be solved. This morning a good friend asked me this “But most importantly, how is YOU? Truly, truly..." To be honest, that question jolted me so deep, because I could see the honesty, and genuine concern about my welfare in it. And I gave the honest answer I could possibly think of at that moment. I said " Things have been tough, but, God is helping me to stay stronger" and my friend concluded with "I go dey here dey throway support for ya side as much as I can" Now, that may seems just casual to anyone but to me, that meant a whole lot to me, because at that moment, I felt all my worries lifted. Facing difficult challenges is a process in becoming "the you, you are meant to be" but having someone who you can be honest and open with us is a boost in surviving that phase of life. These are people that you don't need to put on the happy face sticker around, they are those who will not judge your inadequacy, but will help you to overcome. We all need someone to lean on in our times of unwanted realities. Those are the friends you can't possibly do without! Hard to find these days. This is so very true....."a friend loves at all times" having someone to share with makes it all easier. Hmmm,so they said " a problem shared ȋ̝̊̅s half solved" but I always add "sharing with the right one" Life chooses to show us its positive and negative sides at different times.Our ability to overcome the negativity ȋ̝̊̅s what makes us a man. In this kind of life hardly to be trusted either do you, but we have to keep pushing, life is all about understanding. True friend that never leaves; helps you fight your "lows" and help you become better! 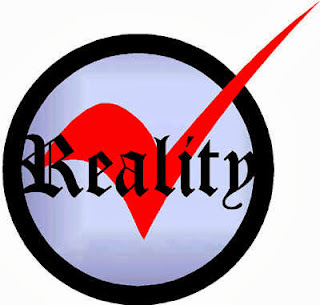 Truth be told, realities most times are really unwanted. Paul, Peter and even Jesus had to embrace the pain that came with 'achieving their purpose'. However, with good people around you giving you (most especially) emotional support, putting smile on your face, one will surely go far. Its very true. Real and true friends like that who are there to talk to during tough times and challenges are part of the things that gives a man courage to strive more. In this age, finding the right trio is herculean but we all have face the unwanted realities, brace up for the challenge and go all out to accomplish purpose. I look forward to seeing the @famuyideolawaleTheWriter cos the reader has been killing every article he's written. I've got two friends who are special gifts from God. They've been like brothers to me (I don't have a biological brother). It's a privilege to have such people in ones life. Indeed, true friends are priceless.